If you are falling behind on payments, have legal action pending, facing foreclosure or think you want to Short Sale your home in the St Petersburg, Clearwater or Tampa Bay areas, contact me immediately to discuss your options. Contrary to the term Short Sale, there is nothing short about the process. As a matter of fact, in some cases it could typically takes several months to sometimes over a year to complete a Short Sale. Proper marketing and price positioning are always key factors and extremely important in selling a Short Sale. Below are some helpful points to help you get started and along the way. Call me when your ready to get your home sold. What is a Short Sale? By definition: a short sale is a sale of real estate in which the proceeds from selling the property will fall short of the balance of debts secured by liens against the property and the property owner cannot afford to repay the liens’ full amounts, whereby the lien holders agree to release their lien on the real estate and accept less than the amount owed on the debt. Any unpaid balance owed to the creditors is known as a deficiency. Short sale agreements do not necessarily release borrowers from their obligations to repay any deficiencies of the loans, unless specifically agreed to between the parties. A short sale is often used as an alternative to foreclosure because it mitigates additional fees and costs to both the creditor and borrower; however both will often result in a negative credit report against the property owner. The home owner must have a valid financial hardship. Job loss, loss of income (borrower’s total monthly payment exceeds 31% of gross income) , disability, death of a spouse, divorce, medical condition, relocation for employment of more than 100 miles. The Short Sale needs the approval from all parties involved including the homeowner, the new buyer, mortgage insurers, investors and lien holders. Due to all interested parties needing to be in agreement, Short Sales take considerably longer to complete than a traditional sale. The homeowner(s), Listing Agent, Buyer’s Agent and new buyer(s) will agree that the property is being sold through an Arm’s Length Transaction Affidavit which states the parties are unrelated by family, marriage or commercial enterprise. The amount of debt forgiven might be treated as income for tax purposes. Under a law expiring on January 1st, 2014, however, forgiven debt will not be taxed if the amount does not exceed the debt that was used for acquisition, construction, or rehabilitation of a principal residence. Check with a professional Tax Advisor so you fully understand your responsibility. 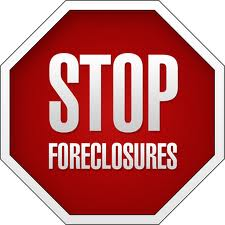 When you are served a notice of foreclosure in Florida, in most cases you only have 20 days to file a response, or your options in fighting foreclosure may become limited. Be proactive about the process as soon as your are notified. Homeowners considering a Short Sale should consult with a Real Estate Attorney and a Tax Professional due to the legal and tax liabilities of the transaction. Homeowners who stop making their mortgage payment may lose their home to foreclosure and damage their credit in the process. Are you going to be negotiating the Short Sale for the seller(s) or is there an attorney or short sale facilitation company involved? Is there a buyer mitigation fee and how much? How many and who are the lender(s) servicing the loan(s)? Have you requested the short sale package(s) from each lender and has the seller completed it for submission? How is the listing agent going to handle submitting offers to the bank? Is the list price representative of a previously Short Sale approved price? Your real estate agent can help you determine a reasonable offer amount by reviewing comparable properties that have recently sold in the area. Submit a reasonable, fair market value offer. Offers that reflect the fair market value of the property and are within the investor’s marketing guidelines have a better chance of getting approved. Property conditions can vary widely, and properties are typically sold “as is.” In most cases, neither the seller nor the lender will make any repairs as there tends to be deferred maintenance. Have a professional home inspection of the roof, HVAC, plumbing, electrical and windows etc. to avoid expensive rehabilitation projects. IRS Tax Tip 2011-44 If you are a homeowner whose mortgage debt is partly or entirely forgiven during tax years 2007 through 2014, you may be able to claim special tax relief and exclude the debt forgiven from your income. Here are 10 facts the IRS wants you to know about Mortgage Debt Forgiveness. 1. Normally, debt forgiveness results in taxable income. However, under the Mortgage Forgiveness Debt Relief Act of 2007, you may be able to exclude up to $2 million of debt forgiven on your principal residence. 2. The limit is $1 million for a married person filing a separate return. 3. You may exclude debt reduced through mortgage restructuring, as well as mortgage debt forgiven in a foreclosure. 4. To qualify, the debt must have been used to buy, build or substantially improve your principal residence and be secured by that residence. 5. Refinanced debt proceeds used for the purpose of substantially improving your principal residence also qualify for the exclusion. 6. Proceeds of refinanced debt used for other purposes – for example, to pay off credit card debt – do not qualify for the exclusion. 8. Debt forgiven on second homes, rental property, business property, credit cards or car loans do not qualify for the tax relief provision. In some cases, however, other tax relief provisions – such as insolvency – may be applicable. IRS Form 982 provides more details about these provisions. 9. If your debt is reduced or eliminated you normally will receive a year-end statement, Form 1099-C, Cancelation of Debt, from your lender. By law, this form must show the amount of debt forgiven and the fair market value of any property foreclosed.